The sheep was texel and suffolk cross gimmers. Not easy at all to handle. The second days afternoon come heavy rain and thunder, bad luck for the competitor at they time. 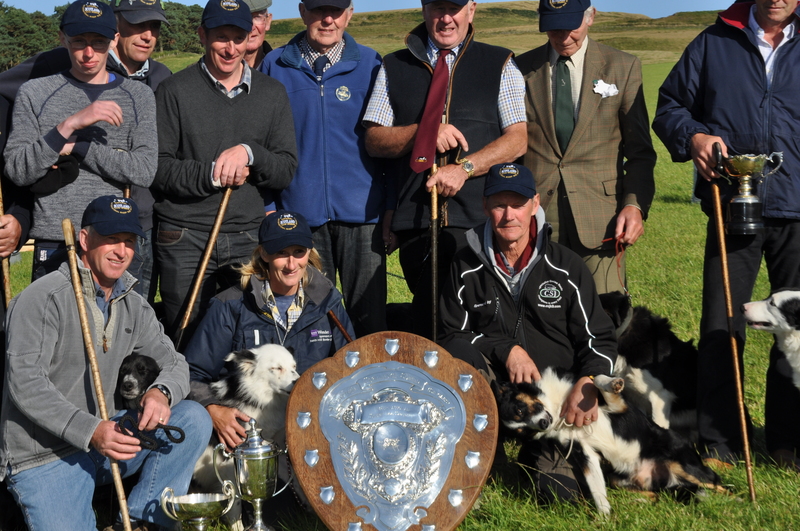 Congrats to The Scottish Champion 2014 Julie Hill with Bahn. 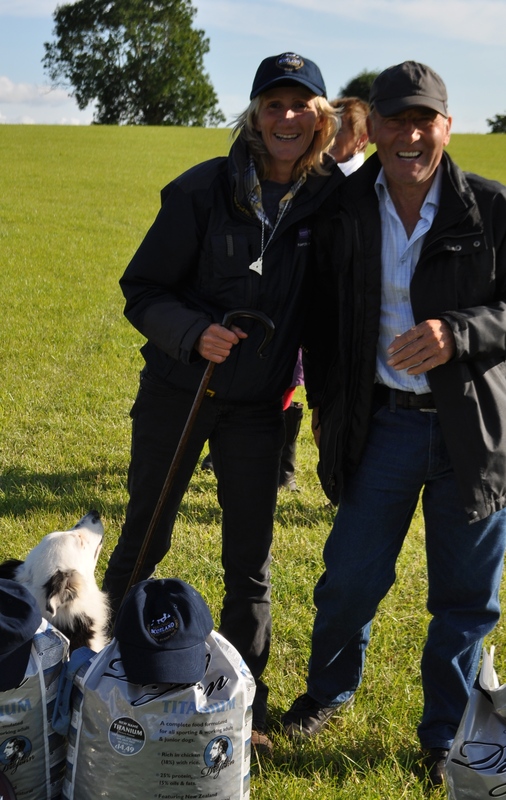 Julie and Bobby, happy smiling !!! Judge was K.Wood and B.Elliot. The result and the Scottish Team for International on Ireland. 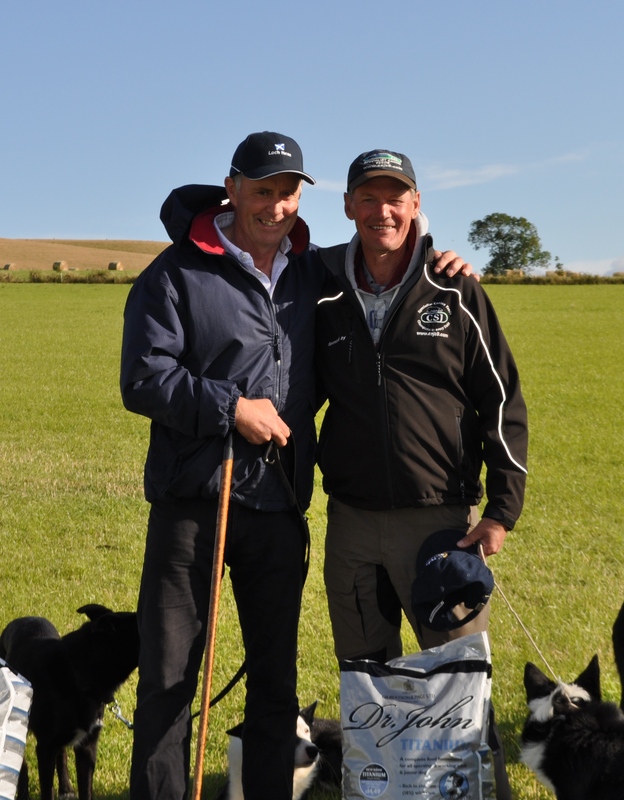 J.McKillop had two dogs in to the team, Happy boys !!!! Davey run really well, had a tricky ewe, she give us some problems and special at the pen, she was testing us. I´m proud of him. Jim was out of form, didn’t perform what I expected, outside the team, 172 p and around 20th place. Kate run well, but the sheep didn’t like her, she had some stop on the run and was timed out at the singel, 149 p.
Net run well up to the sheed, one ewe didn’t like her and attacked her and Lotta retiered. The outrun coast many dogs problem and was tricky. All our dogs run out well and that was really nice to see. 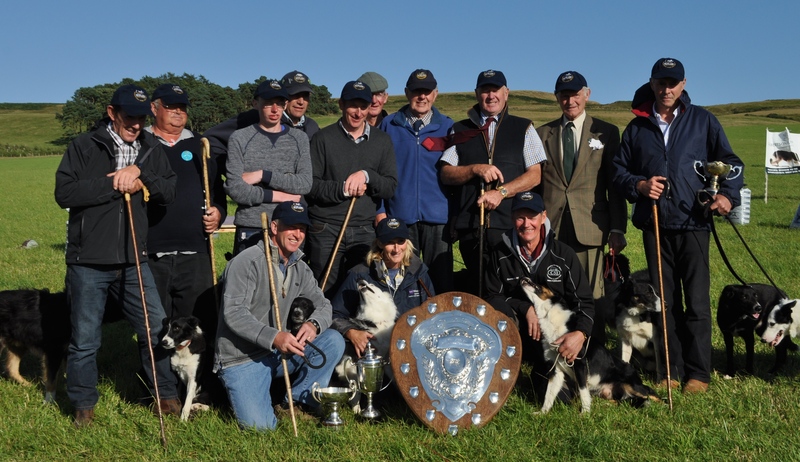 Next big trial is World Trial up in north of Scottland. Jim and Davey will run there. The weekend after we are going to International on Ireland and Davey shall represent Scottland there, so a busy september.